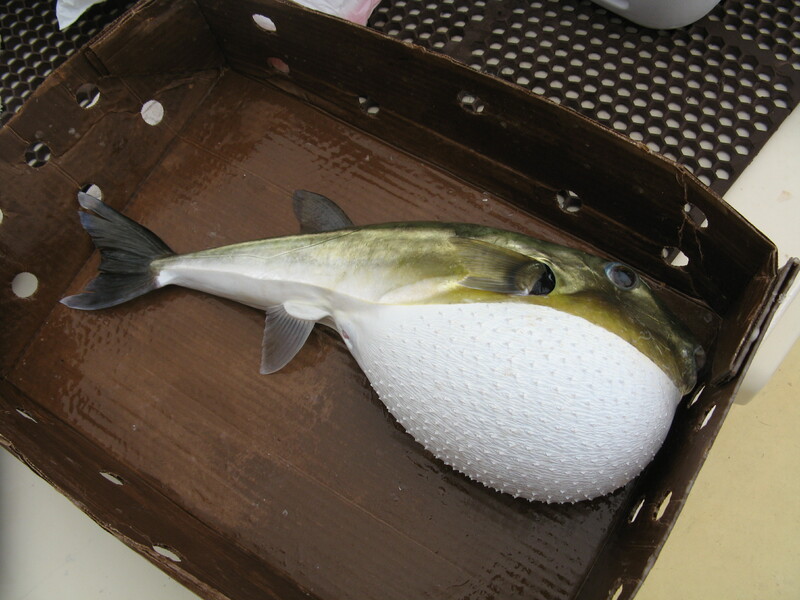 In spite of the rough conditions today we were able to pull out a catch of bluefish, stripers, cobia, and this extremely unusual fish…a smooth pufferfish or rabbit fish who strayed from the Gulf of Mexico to the Bay! 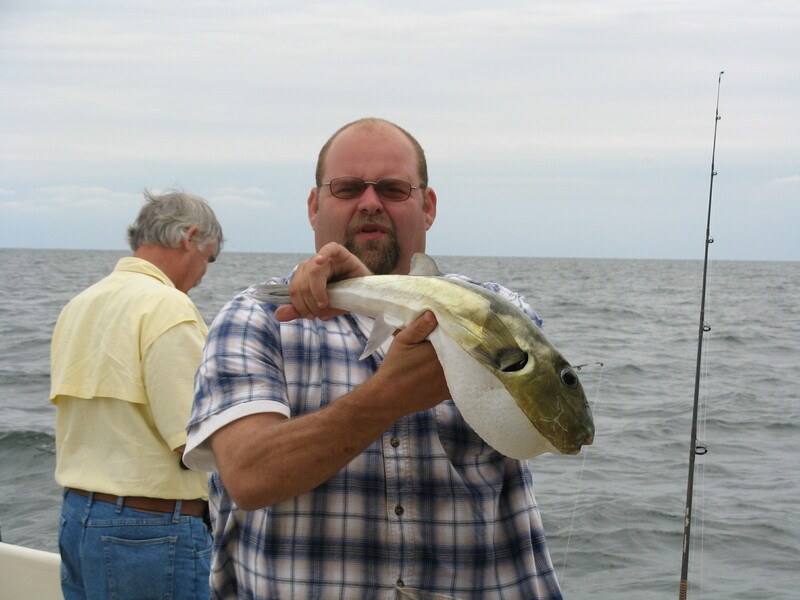 Glad to have Rick and his family and friends fish with us today. Appreciate your business and look forward to the next one! 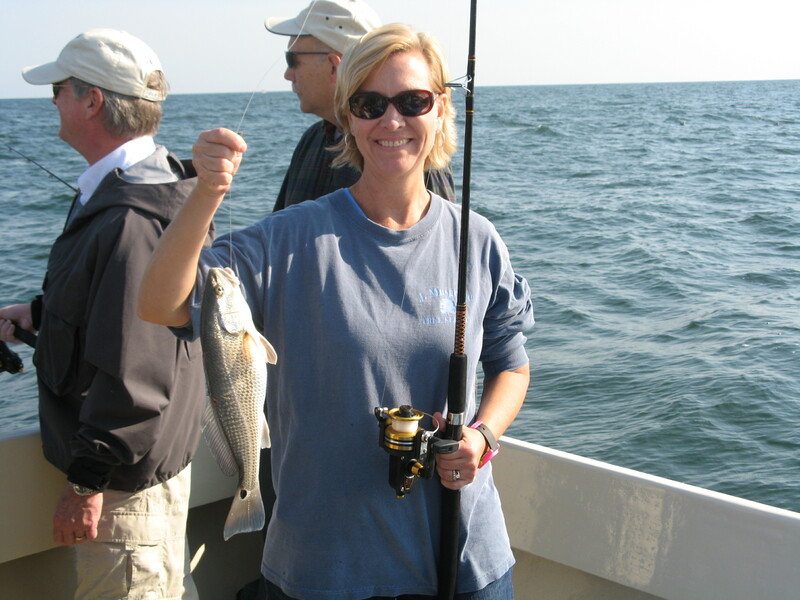 Today we were fortunate to have a great group of folks who took time from their busy hospital schedules to spend a day with us fishing on the Bay. 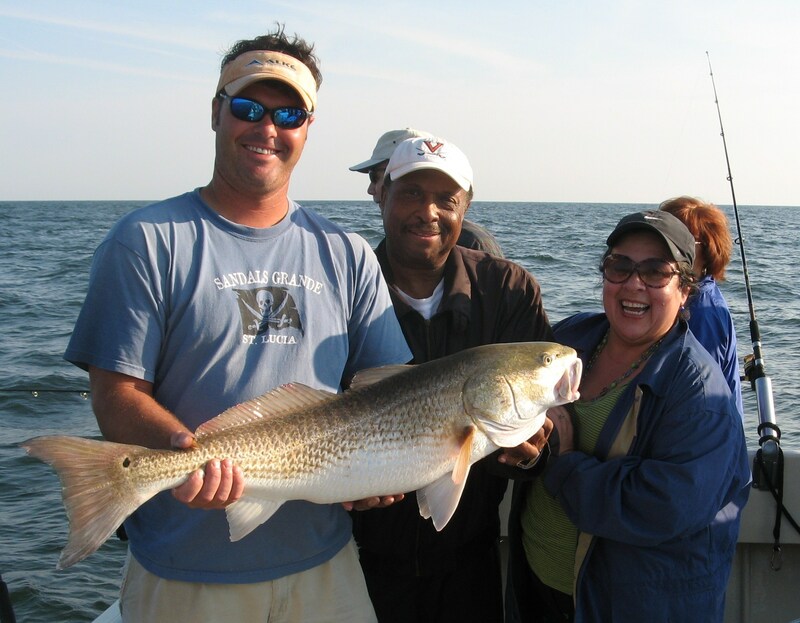 The action started with this beautiful big red drum and continued with bluefish, stripers, puppy drum…plenty of good action. We hope to see you back aboard with us and really appreciate you making the long drive to join us. 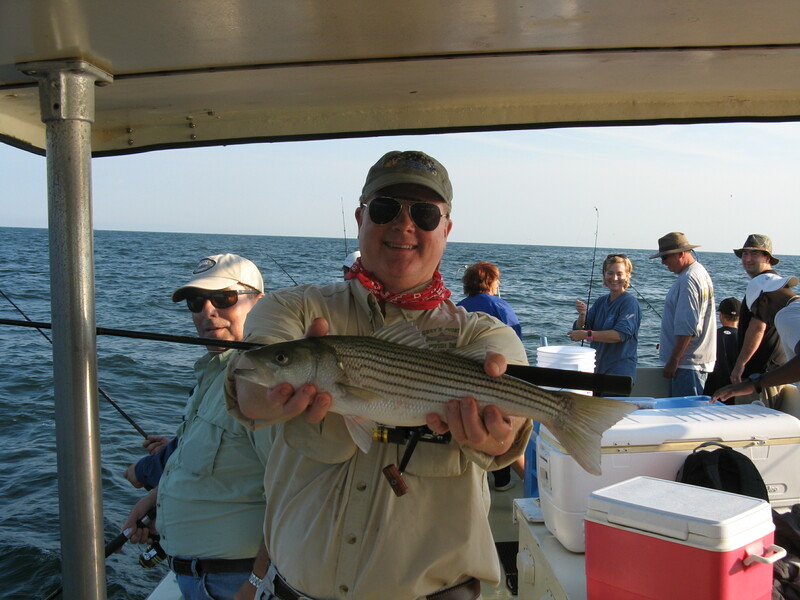 Glad to have Ken and his group fish with us again this year. We picked them up at the dock at Sloop Creek Lodge just down the river and headed out to the Bay early. Although the fishing conditions were really tough, we were able to get blues, Spanish mackerels, and this very nice cobia. Back on shore, they spent the rest of the weekend there and even included our FAT ‘N HAPPY oysters that we raise on their evening menu. 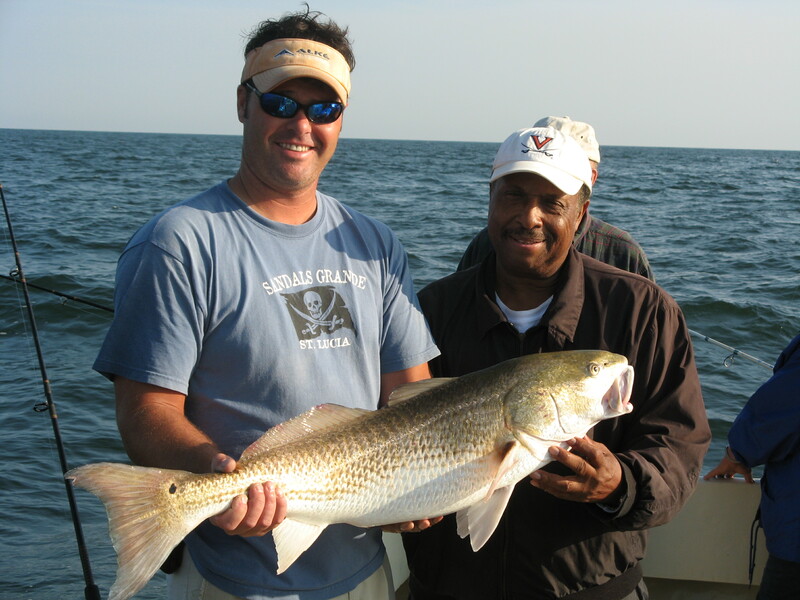 Appreciate having such a hearty group of fishermen aboard that day and look forward to fishing with you all next time. It was great having The Hammond’s aboard KIT II today. 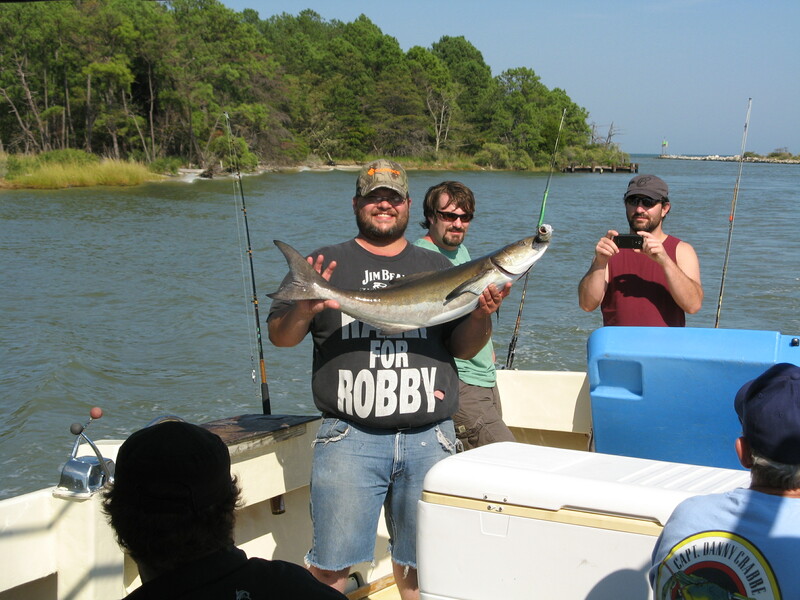 We had plenty of “live cobia action” followed by sore arms the next day! Appreciate your business Chief! Be sure to watch the video at least 5 minutes in…it’s worth it!